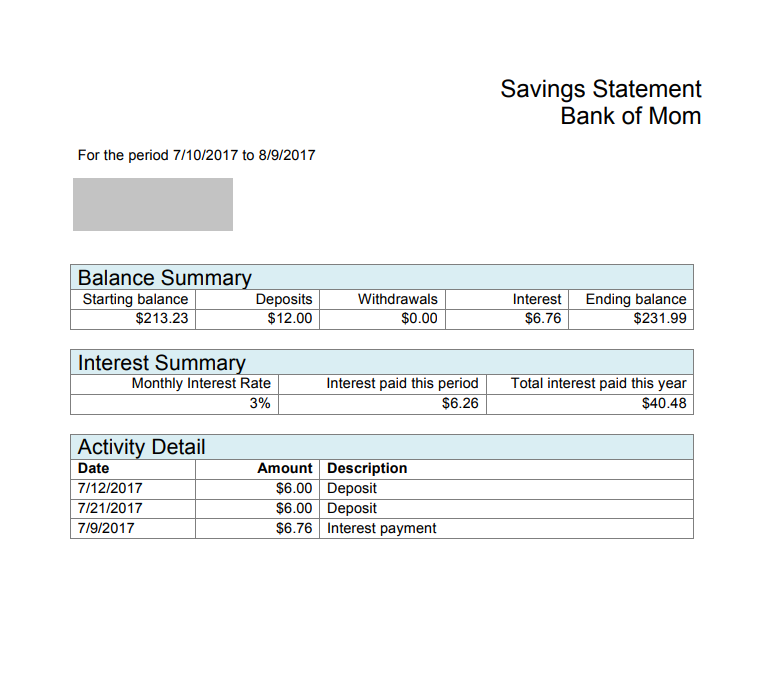 For over a year, I have been paying J interest at the Bank of Mom. 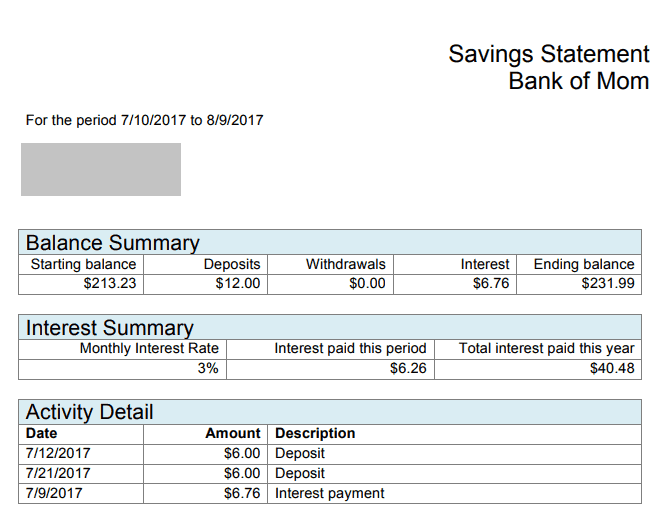 This month, he’s up to $231.99 and earned $6.76 in interest. 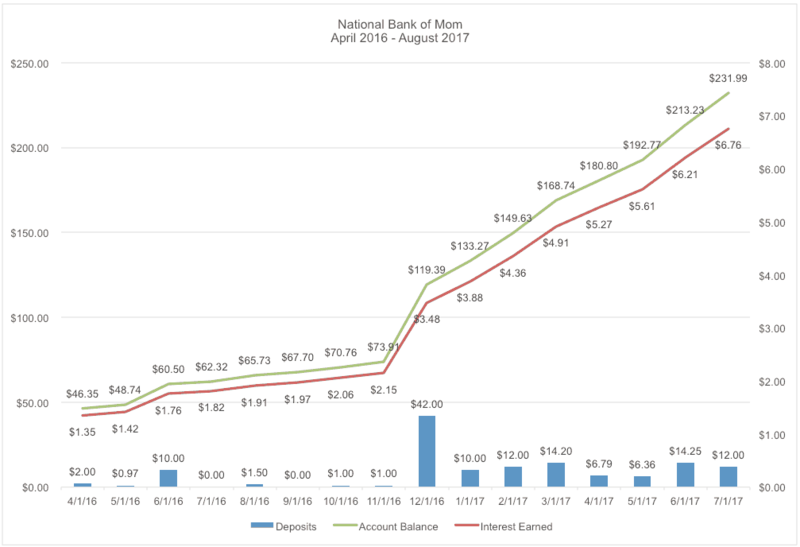 Also, here’s a chart of his account balance and interest over time, as well as the monthly deposits. 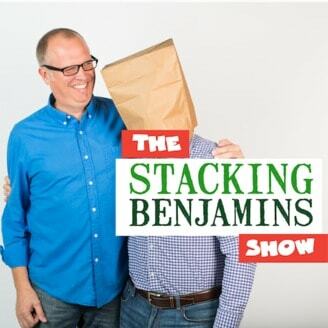 I like this activity because it gives us a chance to sit down and talk every month. 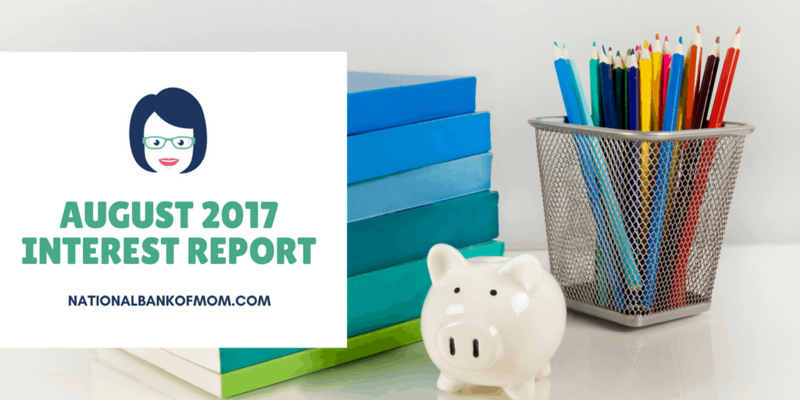 J likes to cross milestones — he was really excited to hit $200 in June. At some point we will move to a card/electronic system, but for now, we’re going to stay old school with pencil and paper. Well, and some emailed statements! How Much Does Your Vacation Really Cost?